For sale is ca. 1980 "Granada" built by the late Craig Hoffman, a Raleigh, NC based luthier. 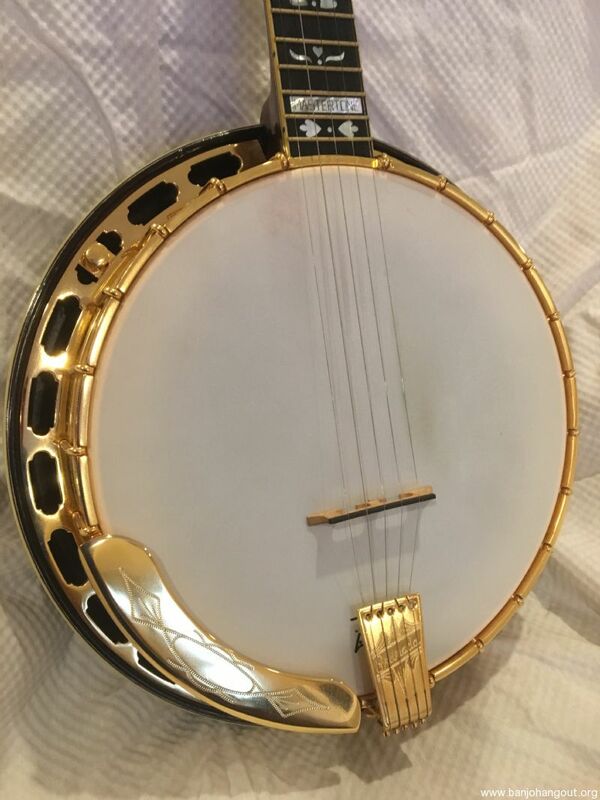 I purchased the banjo from Donald Zepp in 2004 and had the gold parts re-plated by Bill Sullivan (First Quality Music). According to Zepp, Craig only made 3 or so of these. It's a fairly accurate copy, having the correct Hearts and Flowers inlay pattern, though its fingerboard is ebony, rather than rosewood. 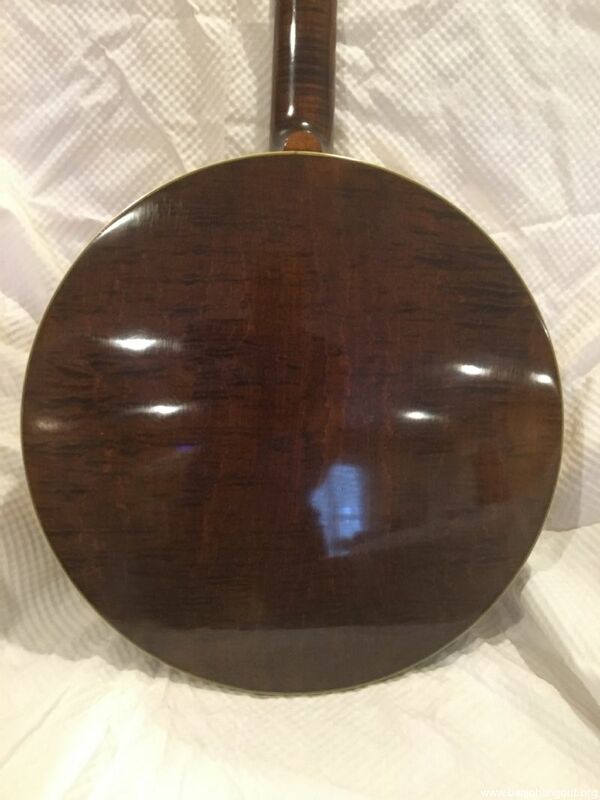 It has a rich brown stain on its flamed maple resonator and neck. 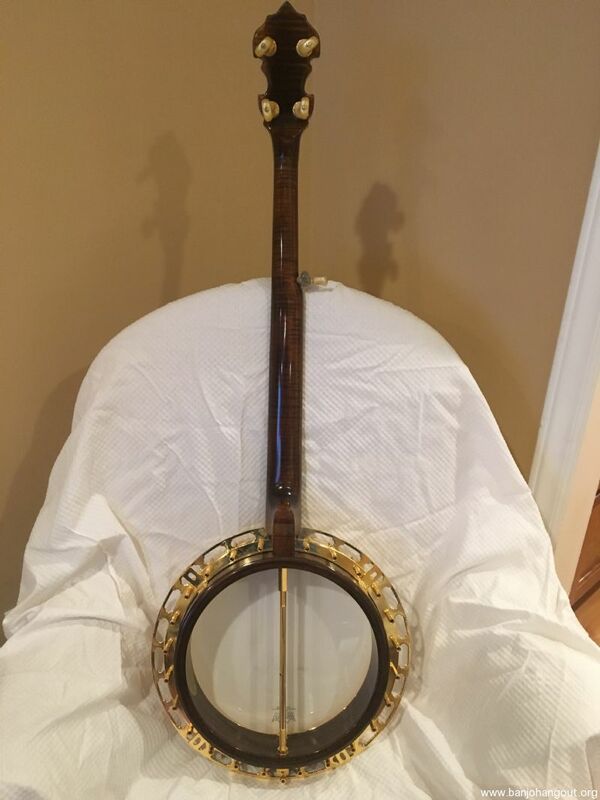 When Craig built this banjo, he did add a reproduction Gibson label in the pot, but he did not create a serial number. It has the maker's mark stamped into the rim, between the holes for the lag screws. 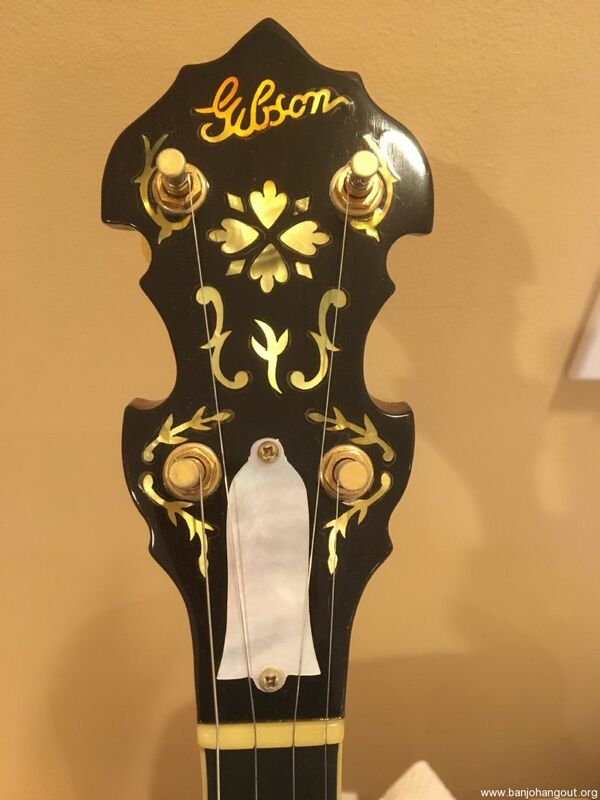 It quite legibly says: "Craig Hoffman, Luthier, Raleigh, NC." It has a Steve Ryan tone ring, which gives it that beautiful classic Gibson sound. It's old enough that the lacquer on the peg head has yellowed nicely. 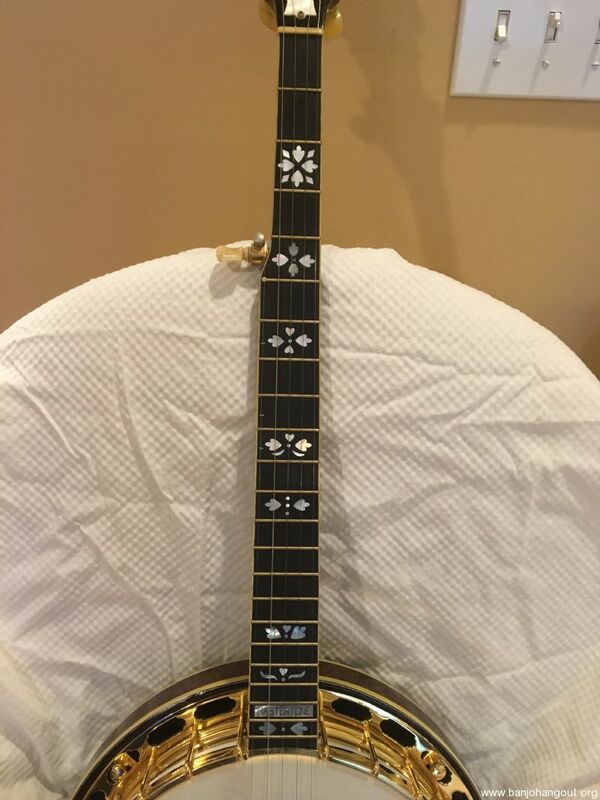 It is in really great condition, with perfect inlays, and without scratched, nicks or fret ware. It comes with the original period hard shell case. This ad will automatically expire 5/30/2019 4:53:39 PM unless updated before that date. To keep the system current, ads expire if not updated for more than 60 days.